This high-frequency appliance generates a relaxing magnetic field and permits deep penetration into the skin of cell regenerating serums. 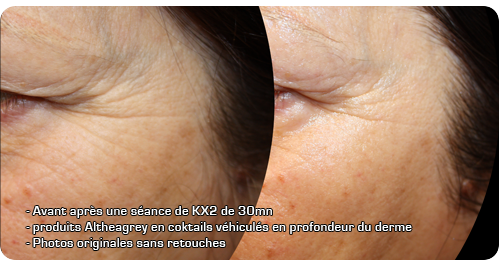 It can also be used to apply a tensing gel which can have a firming and anti-wrinkle effect. When using this treatment, the therapy must be custom-designed for each individual case. It is an efficient treatment for acne and broken veins.